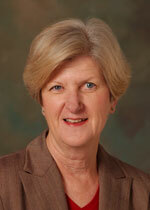 Elaine was appointed as an Associate Professor in 2008. Prior to that she held academic positions at UWS, ANU and UNSW. She has taught both undergraduate and postgraduate subjects in the financial accounting area. She also has supervised Honours and PhD students across many different topic areas within the financial accounting discipline including: Consistency of financial reporting in NSW Government Departments; Factors affecting the readiness of SMEs to Adopt AIFRS; The effects of AIFRS on entities reporting Intangible Assets; Corporate governance; Impression management in annual reports; Sustainability reporting; Acculturation and educational effects on interpretation of accounting standards; Political factors affecting the development of international accounting standards; The usefulness of fair value accounting; IFRS for SMEs; and Accounting professionalisation projects. In 2006, Elaine won an Excellence in Education Award from the Division of Linguistics and Psychology, Macquarie University and in 2007, she won a vice Chancellor's Excellence in Education Award, from Macquarie University. In 2007 she was runner-up for the International Award for Excellence from The International Journal of Knowledge, Culture & Change Management. In 2009, she received the AE/IAAER Outstanding Reviewer Award and a prize from the Accounting Research Journal. In 2009 she was an invited guest editor for a themed edition of Accounting Education: an international journal - "The interface between academic and professional education and training in Accounting". Also in May 2009, Elaine was an invited plenary speaker at the British Accounting Association Education Special Interest Group Annual Conference, University of Essex. In 2013, Elaine was appointed as the HDR Co-ordinator in the Department of Accounting and Corporate Governance and in 2015 was appointed to the additional role of Research Co-ordinator. In 2015, Elaine won the Emerald Group Publishing Award for Excellence 2015, Oustanding Paper published in Pacific Accounting Review. In 2016 and 2017, she is a guest editor of a themed version of Accounting History entitled 'Histories of Accounting Education'. In 2016, Elaine was awarded the FBE Dean's Award for research leadership in 2015. 2014-15 ICAA Academic Research Grant $20,592 'Determining viable thresholds for SME reporting in Australia with Dr Karen Handley and A/Prof. Sue Wright. 2012 IGAP/CPA Research Grant - $4,156 'In an accounting context, what does it mean to be work ready?' with Sue Wright and Nicholas McGuigan. 2011 ICAA Research Grant - $9,337 'Recasting the university/profession relationship as a global imperative: The alternate pathways project' with Chris Poullaos (USyd). 2009/2010 AFAANZ Research Grant - $3,000 'The Impact of the ASX Corporate Governance Recommendations on Corporate Risk Management' with Maria Dyball and Sue Wright. 2009, FBE Strategic Support for Strength, $25 000. Organisational Governance & Reporting Research Network. 2008, EFS Strategic Support for Strength. $20 000. Organisational Governance & Performance Research Network. 2008, ICAA Alternate Pathways Project - $10 000 The Accounting Foundation The University of Sydney - in collaboration with A/P Chris Poullaos. 2007, Learning Excellence and Development (LEAD) Project - Division of Economic and Financial Studies (EFS), $3 000. Integrating academic literacy skills in an elective intermediate accounting subject. 2005, Department of Accounting and Finance Research Grants Scheme, $4,400. Colleges of Advanced Education and their contributions to accounting education (with R. Juchau, UWS). Guthrie, J., Evans, E. and Burritt, R. 2015 'Work: Past, Present and Future', Academic Leadership series, volume 6, pp. 9-22. Guthrie, J., Evans, E. and Burritt, R. 2014 'Framing the engagement of Australia's accounting profession with Asia', Academic Leadership series, volume 5, pp. 9-24. Evans, E., Baskerville, R. F., Wynn-Williams, K. and Gillett, S. (2014) How students' ethnicity influences their respect for teachers, Asian Review of Accounting Vol. 22, No. 2, pp. 159-178. Evans, E. and Cable, D. (2011), Evidence of improvement in accounting students' communication skills. International Journal of Educational Management, Vol 25, No. 4, pp. 311-327. Cheung E., Evans E. and Wright S. (2010), An historical review of quality in financial reporting in Australia. Pacific Accounting Review, Vol 22, No. 2, pp. 147-169. Evans, E., Tindale, J., Cable, D. and Hamil Mead, S. (2009), Collaborative teaching in a linguistically and culturally diverse higher education setting: a case study of a postgraduate accounting program. Higher Education Research & Development, Vol. 28, No. 6, pp. 597-614. He L., Wright S., Evans E. and Crowe S. (2009), What Makes a Board Independent? Australian evidence. Accounting Research Journal, Vol. 22, No. 2, pp. 144-166. Evans, E. (2008), The Australian Society of Accountants' attempt to introduce a qualifying examination in the early 1970s: A case of form over substance. Accounting Education: an international journal, Vol. 17, No. 1, pp. 65-81. Evans, E. and Rigby, B. (2008), Integrating academic literacy skills in an elective intermediate accounting subject. Asian Social Science, Vol. 4, No. 3, pp. 59-65. Cheung, E., Evans, E. and Wright, S. (2008), The adoption of IFRS in Australia: The case of AASB 138 (IAS 38) Intangible Assets. Australian Accounting Review, No. 46, Vol 18, Issue 3, pp. 248-256. Tindale, J., Evans, E., Cable, D., and Mead, S. H. (2006), Operationalising collaboration. The International Journal of Knowledge, Culture & Change Management, Vol. 6, No. 4, pp. 81-88. Birkett, W. P. and Evans, E. (2005), Theorising professionalisation: a model for organizing and understanding histories of the professionalising activities of occupational associations, Accounting History, Vol. 10, No. 1, pp. 99-127. Birkett, W. P. and Evans, E. (2005), Control of accounting education within Australian universities and technical colleges 1944-1951: a uni-dimensional consideration of professionalism. Accounting, Business and Financial History, Vol. 15, No. 2, pp. 121-143. Cummings, L., Evans, E. and Yip, P. 2006. Are SMEs ready to adopt Australian equivalents of the new International Financial Reporting Standards? Charter, June, pp. 84-5. Cummings, L. S., Evans, E., and Yip, P. 2007. Waking up late: Time ticking away for small business to be ready for new SME reporting regime, Charter, January, Vol. 78, No.1, pp. 60-63. He, L, Wright, S. and Evans, E. 2007. Does better corporate governance result in lower earnings management? Keeping Good Companies, Vol. 59, No. 6, July, pp. 330-334. Cui, T., Wright, S. and Evans, E. 2007. Who uses small and medium-sized enterprises financial statements and for what purposes? Charter, August, pp. 68-9. Cui, T., Wright, S. and Evans, E. 2007. Does better corporate governance make a difference to company value and performance? Keeping Good Companies, Vol. 59 No. 10, November, pp. 582-585. Evans, E. and Juchau, R. (2009). Colleges of Advanced Education in Australia: A lasting legacy, www.vdm-publishing.com. ISBN 978-3-639-14548-9. Yip, S. H., Cummings, L. and Evans, E. (2008). Factors affecting the readiness of Small and Medium Enterprises (SMEs) to adopt Australian Equivalents to International Financial Reporting Standards (AIFRS) in 2005, www.vdm-publishing.com. ISBN 978-3-639-08913-4. Evans, E., Juchau, R. and Wilson, RMS. (2012). The Relationship between Academic Accounting Education and Professional Training - An Overview, in E. Evans, R. Juchau and RMS Wilson (eds), The Interface of Accounting Education and Professional Training, pp. 1-7, Routledge, London. Burritt, R., Evans, E. and Guthrie, J. (2011). The Relationship between Academic Accounting Research and Professional Practice, in E. Evans, R. Burritt and J. Guthrie (eds), Bridging the Gap between Academic Accounting Research and Professional Practice, pp. 9-20, CAGS/ICAA, Australia. Burritt, R., Evans, E. and Guthrie, J. (2010). Challenges for Accounting Education at a Crossroad in 2010, in E. Evans, R. Burritt and J. Guthrie (eds), Accounting education at a crossroad in 2010, pp. 9-15, ICAA, Australia. Evans, E. (2010). Jurisdictional Disputes in Accounting: Education or Training, in E. Evans, R. Burritt and J. Guthrie (eds), Accounting education at a crossroad in 2010, pp. 80-89, ICAA, Australia. Evans, E, (2009). Monitoring accounting education in higher education institutions by the professional accounting bodies in Australia 1944-1988, in J. Baxter and C. Poullaos (eds), Practices, Profession and Pedagogy in Accounting - Essays in Honour of Bill Birkett, pp. 392-422, Sydney University Press, Australia. Evans, E. and Ross, P. (2006). Accounting and Finance Education for Undergraduate Hospitality Management and Marketing Students: Finding out what they need to know, in R. Juchau and G. Tibbits (eds), Celebrating Accounting. University Of Western Sydney, Penrith, ISBN 1 74108 077 0. He, L., Wright, S. and Evans, E (2011). Fair value accounting and the objective of general purpose financial reporting: The case of Agriculture in Australia. European Accounting Association 34th Annual Congress, Rome, April. Baskerville, R., Evans, E., Gillett, S. and Wynn-Williams, K. (2010). Student diversity and concepts of quality teaching: Does ethnicity matter? AFAANZ 2010, Christchurch, July. Evans, E. (2009). Accounting education in Australia 1944-1988: Why the professional accounting bodies were 'locked in' to higher education as the platform for accounting education. AFAANZ 2009, Adelaide, July. Cheung, E., Evans, E. and Wright, S. (2008). Tracing elements associated with quality of financial reporting in Australia: Echoes from the past. 12th World Congress of Accounting Historians, Istanbul Turkey, July. Evans, E. and Juchau, R. (2008). Accounting education in Colleges of Advanced Education: A story of transition. AFAANZ 2008, Sydney July. Cui, T., Wright, S., Evans, E. and Crowe, S. (2008). Have the objectives of the ASX recommendations on good corporate governance been achieved? AFAANZ 2008, Sydney July. Tindale, J., Evans, E., Cable, D., and Mead, S. (2006). Technical and communication skills: Can they both be accommodated in a postgraduate program preparing graduates for the professional accounting workplace? Proceedings of AAAA Conference, Sydney, Australia, 17-19 September. ISBN 10:1 74138 184 3; ISBN 13:978 1 74138 184 9. Cheung, E., Evans, E., and Wright, S. (2006). How the adoption of AIFRS affects entities that report intangible assets. Proceedings of AAAA Conference, Sydney, Australia, 17-19 September. ISBN 10:1 74138 184 3; ISBN 13:978 1 74138 184 9. Evans, E. (2005) Higher education working as an adjunct to the accounting profession: A contested assumption, The fourth Accounting History International Conference, Braga, Portugal, 2005. Evans, E. & Ross P.(2000). Accounting and finance education for undergraduate marketing students - insights from practice. Proceedings of ANZMAC 2000 CD-ROM Australia & New Zealand Marketing Academy Conference, ed. A. O'Cass, Gold Coast, December, ISBN 0 86857 978 5. Last Updated: 2018-05-29 15:42:34 by Ms Ervina Ang.